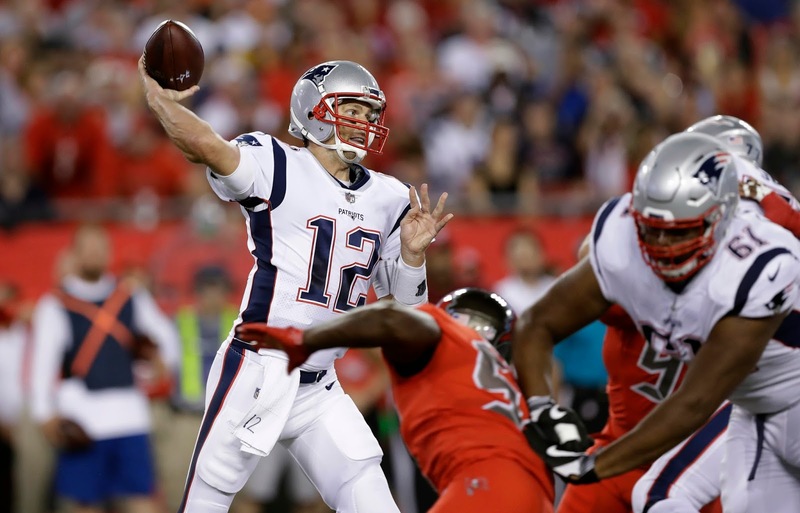 Per multiple sources, Tom Brady sprained his left AC joint (his non-throwing shoulder) in last Thursday night's win over the Tampa Bay Buccaneers. As Rapoport noted, the injury isn't expected to cost Brady any time at this stage (and even if it did, the Pats have a capable backup in Jimmy Garoppolo). Instead, it points more to the alarming lack of protection the quarterback has had to deal with over the first five games of the season. CBS Sports noted that he's been sacked 16 times already, more than in the entire 2016 season (15), and he's been hit a whopping 32 times from all angles. That relentless punishment caused him to miss his first practice of the year this Tuesday. Thankfully, the Patriots shouldn't need a killer performance from Brady to sneak by the lowly New York Jets this weekend. But if the protection doesn't improve for the 40-year-old future hall-of-famer, his MVP-caliber start to the year might quickly disintegrate.